The two weeks between conference championship games and the Super Bowl can be an incredible distraction for the players and coaches involved in the NFL title game. 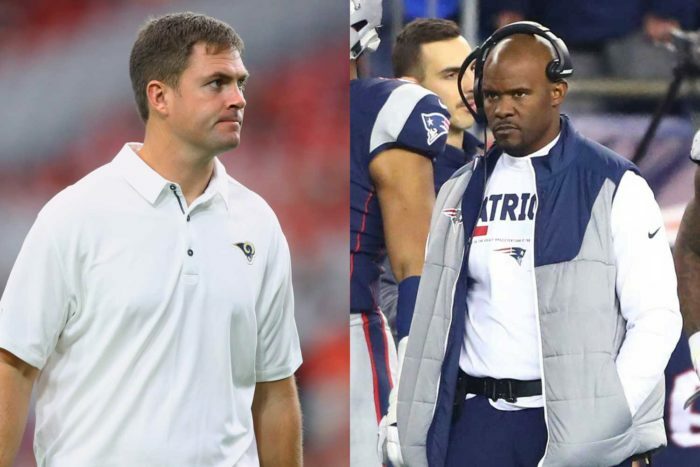 It could be even more distracting for Los Angeles Rams quarterbacks coach Zac Taylor and New England Patriots linebackers coach Brian Flores, both of whom will be starting new jobs the day after Super Bowl LIII. Nothing can be announced until after their current seasons are complete, but it’s been widely reported that Taylor will be named the head coach of the Cincinnati Bengals and Flores will be the new head coach of the Miami Dolphins. Surely, there is an understanding from the teams that are hiring them that the focus right now is on the task at hand. And it’s ironic that Flores will be calling the defensive plays for a unit that is always tough on young quarterbacks, while Taylor is busy helping young QB Jared Goff prepare for the Pats’ defense. That said, the new gig has to be on their minds. While the rest of the Rams and Patriots coaching staffs can unwind a little on Feb. 4 (at least for a day or two before getting ready for the NFL Combine), Flores and Taylor will be diving headfirst into what will be the first head coaching positions for both. There are already reports floating around about additions to their staffs. Jack Del Rio – who we spotted this week at the Senior Bowl in Mobile, Ala. – is reportedly going to be Taylor’s defensive coordinator with the Bengals. It’s worth noting that Taylor and Del Rio – who has lost a lot of weight since he was fired as Raiders head coach after the 2017 season – share the same agent (Bob LaMonte). The reports out of Miami, meanwhile, are that Packers defensive assistant Patrick Graham will be Flores’ defensive coordinator with the Dolphins. Graham worked with Flores on Bill Belichick’s New England staff from 2007-15. Another coach expected to join Flores is former Colts and Lions head coach Jim Caldwell, rumored to be coming in as an assistant head coach with a role in the offense.